Casio has long been a heralded producer of musical instruments, and their taste for modern innovation and production has continued till this day. I’ve always wondered, however, if sometimes particular departments within companies rival and compete against each other with vigor. I’m sure the only way someone would gain an answer to this question is by working for a select company. But this is what it seems between arguably Casio’s two greatest digital piano divisions, Privia and Celviano. It seems as the greatest feature from one product line are snatched and given to the other and wonderful ideas and models for construction pop up in both lines. Truthfully, there may be no spirit of competition at all, and it is simply the drive to create great products under the same roof that allows collaboration between the two. Whatever the case may, I pray it continues, because wonderful digital pianos are being revealed to the world because of it. The new Privia PX-850 is a result of that revelation. This is Casio and Privia’s baby, so to speak. It is the flagship diamond of the entire series, and the one machine they are willing to bet all of their credibility on. And from the look, feel, and performance of the 850, I would say it’s a pretty good wager. The recently released gem of a machine can really do wonders. 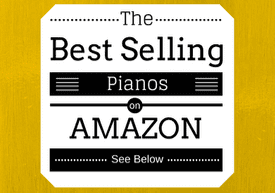 Below, compare the affordable Casio Privia PX-850 to the best pianos in its class based on weight, price, and even customer reviews from Amazon.com. The construction of the Privia PX-850 is characterized by a cabinet that gives the piano sort of an upright feel to it. No longer do you feel like you’re playing some of the previous Privia stage pianos. The 850 is a true work of art that incorporates a classic piano feel with the latest Casio engineering and technology. A three-pedal unit is at your disposal, containing the soft, sostenuto, and damper pedals. A beautiful, ebony finish covers the entire expanse of the piano. However, Casio has added a new lid simulator feature, which allows the top portions of the piano to lift up like a real piano lid, and provide more of a clear and vibrant sound. It’s truly amazing to hear. The only dispute that I would have with the construction of the piano is the composition of the material. There is so much class contained in this machine, I only thought it would be right to reward it with some real wood. The material used on all the boards is a sort of particle board, or chipboard, which has kind a cheap feel to it. Of course, that does nothing to deter from the looks of the machine – it looks great – but I feel bringing some real wood to it would take this digital piano over the top. However, that’s just my opinion. One thing I cannot dispute is the amazing sound produced by the PX-850. The sound is absolutely out of this world, and there are times when you really can’t believe this is a digital piano. This piano is perfect for people who are looking for a grand piano alternative because they can’t afford the price. This piano is easily thousands of dollars less than a used grand piano, but produces a sound that’s on par with the real thing. The grand piano tone is easily the 850’s calling card, and shows the time and effort put in by Casio to generate a real experience. That sound is backed by Casio’s Multi-Dimensional Morphing AiR Sound Source. 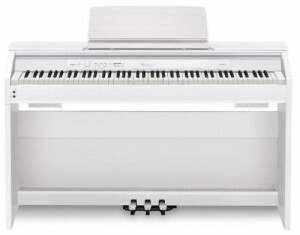 AiR is Casio’s new revolutionary tone generation system, created to bring a new level of piano realism to the digital stage. Casio has already won awards for previous generation of engineering and technology, and the Acoustic and Intelligent Resonator (AiR) system enhances this by using four different levels of concert grand piano samples and three times the memory of AiF Linear Morphing to bring a true grand piano sound. They’ve added to the sound system an innovative Damper and String Resonance and Hammer response simulator that captures the effect of the damper pedal affecting all 88 strings at once. The key action for the PX-850 is backed by Casio’s new Tri-Sensor Scaled Hammer action system. This particular keybed brings to life the hands of any real pianist who’s sat down on a real acoustic piano. No longer will you have to worry if you’re training your hands wrong with plastic, keyboard like keys that provide no resistance. You also get the realistic replication of weighted keys that are heavier along the bass and lighter as you work towards the treble. You’ll truly be amazed that this is an electronic keyboard. With the 850, for the first time you can actually control the hammer response of the hammer action system. There are four different settings which will set the time delay of the hammers to the exact specification that you desire. 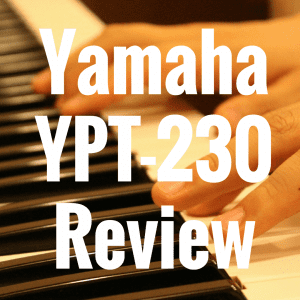 This new innovation has really opened up my eyes to the detail of current digital pianos and the reason why so many are switching from conventional pianos. 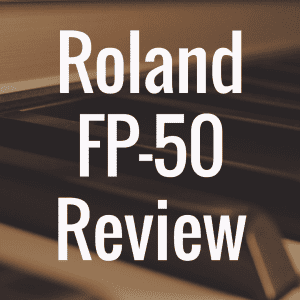 The PX-850 has an unprecedented 256 notes of polyphony, the most provided by any digital piano on the market. This piano will be able to handle anything you can throw at it, so no combination of advanced material or number of hands on the piano will make it to drop even one note. It also has a handy split and duet function which will allow you to divide the piano into other instruments like a bass, or two identical ranges of notes suitable for a duet or student teacher piano lesson. There are also two stereo standard headphone jacks to accommodate this. The PX-850 has two track recording capability, and also comes with transpose, reverb, chorus, and digital signal processing functions. It has both kinds of USB terminals, with a USB to Host port that will automatically connect with other MIDI devices and personal computers, and a USB to Device port which can hold something like a personal flash drive. For anybody looking for a real acoustic piano alternative, the Casio Privia PX-850 is a real no-brainer. 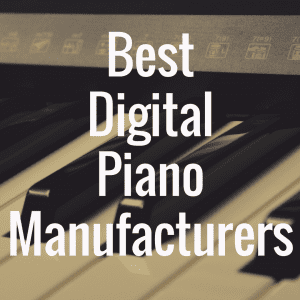 This is the best the Privia line can offer, and arguably the best all-around digital piano Casio has to offer. 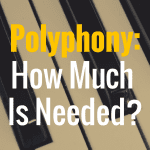 It has a list price of $1,500, but it’s available online for right around $1,000, which is a great deal based on what this piano provides players. 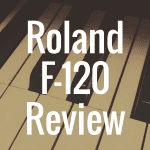 And if you enjoy our helpful digital piano reviews, be sure to visit our homepage often for more updates, reviews, and news items! 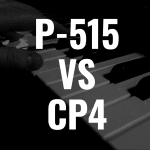 Yamaha P-515 vs CP4: What Piano is Best?